In this study, Tectona grandis was pyrolysed in a fixed-bed cylindrical-typed pyrolysis reactor for bio-oil production at a reaction temperature between 410 oC and 530 oC. The product yields were collected at an interval of 30 oC. The highest product yield occurred at 500 oC. Proximate and ultimate analyses were carried out using iso-conversional methods and GC-MS, respectively. The proximate analysis of the raw sample showed that the moisture content, volatile matter, fixed carbon and ash content were 6.4%, 77.94%, 14.4%, 1.26% respectively while ultimate analysis of the raw materials showed that the content of carbon, hydrogen, nitrogen, sulphur and oxygen were 49.85%, 4.47%, 0.65%, 0.52%, and 44.51% respectively. The ultimate analysis of bio-oil showed that the content of carbon, hydrogen, nitrogen, sulphur and oxygen were 43.56%, 6.25%, 0.62%, 48.89%, 0.68% respectively. The HHV and LHV of the bio-oil obtained were 35.65 MJ/kg and 17.35 MJ/kg respectively. The GC-MS analysis of the bio-oil of T. grandis showed the presence of 22 compounds amounted 98.9%. The most abundant component was palmitic acid (15.0%). The other major compounds present in the bio-oil were oleic acid (12.3%), cis-1, 9- hexadecadiene (12.0%), cis-10-pentadecen-1-ol (12.0%), 9- octadecenal (12.0%), trans-2-octadecadecen-1-ol (12.0%), myristic acid (5.0%) and stearic acid (5.0%). The bio-oil was active against all the tested bacteria with high zones of inhibition (20.0-30.0 mm). This study established that bio-oil should not only be used as a fuel but can also be purified and served as inhibitor of biofilm and bio-corrosion and natural antibiotic agent. J.A., OLOLADE, Z.S., Oyebanji,. Fast Pyrolysis of Tectonagrandis Wood for Bio-Oil: Characterization and Bactericidal Potentials. Global Journal of Research In Engineering, [S.l. ], mar. 2017. ISSN 2249-4596. 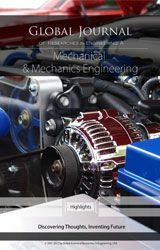 Available at: <https://engineeringresearch.org/index.php/GJRE/article/view/1553>. Date accessed: 21 apr. 2019.